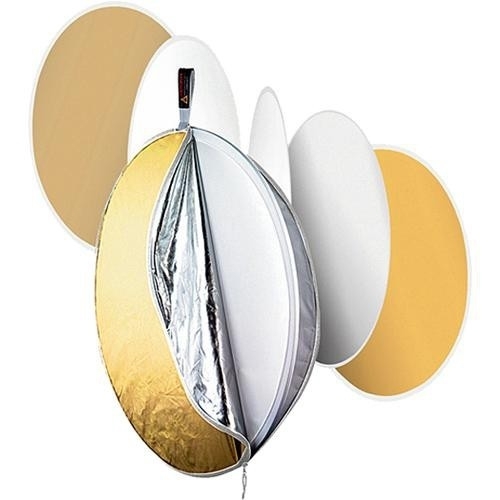 Springboard for the Arts: Photoflex MultiDisc Circular Reflector, 5 Surfaces, 42"
This is a Photoflex 42" (107cm), 5 Surfaces MultiDisc collapsible reflector. Photoflex LiteDiscs and MultiDiscs are designed for use in the studio, or on location. They add light to shadow areas, add or subtract color casts, or diffuse harsh light.